Nevada : Seeing the apparent stubbornness of Meat & Livestock Australia (MLA) continuing with its “You Never Lamb Alone” video ad launched on September four despite universal condemnation, Hindus may launch worldwide boycott of Australian lamb meat. With ads like this playing with the sentiments of communities worldwide resulting in boycotts, how long Australia would keep its position as “one of the largest exporters of red meat in the world” with “Australia’s $22.9 billion red meat industry”, distinguished Hindu statesman Rajan Zed wondered in a statement in Nevada (USA) today. Australia exports red meat and livestock to more than 100 countries, representing over 60% of the industry's production, making it critical to protect and expand our access to overseas markets; MLA claims. Zed, who is President of Universal Society of Hinduism, said that it was highly irresponsible of MLA to continue with this ad despite the clear expression by Hindus that it was very inappropriate and hurt their feelings. “Acts responsibly” was among The Code of Business Conduct and Ethics of MLA, and it seemed to clearly violate it with this ad. With strong condemnation of this insensitive ad world over, MLA appeared to be harming it “core focus” of delivering “value to its 50,000 levy paying members by growing demand for red meat...”. Is this the way MLA aimed to “build industry’s reputation”? Zed asked. Zed had sought ban on “You Never Lamb Alone” video ad, which seemed to make fun of Lord Ganesha. Zed pointed out that Lord Ganesha was highly revered in Hinduism and he was meant to be worshipped in temples or home shrines and not to be used in selling lamb meat for mercantile greed. Moreover, linking Lord Ganesha with meat was very disrespectful and highly inappropriate, Zed added. Moreover, MLA should be mature enough to understand that “love, and not lamb meat, united us and brought us together” and hurtful ads like this were contrary to their claim of “advertising that works and boosts preference and demand for Australian Lamb”, Zed said. Rajan Zed stated that inappropriate usage of Hindu deities or concepts or symbols for commercial or other agenda was not okay as it hurt the devotees. Such trivialization of a Hindu deity was disturbing to the Hindus world over. 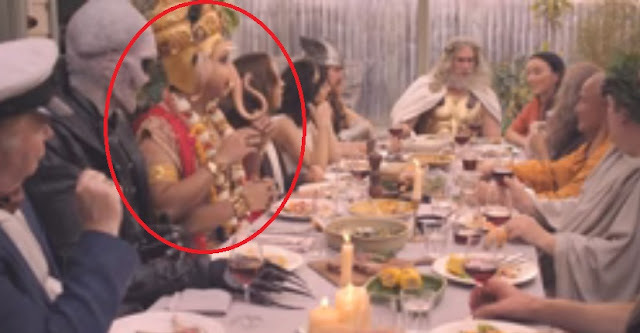 This “new integrated campaign continues with the theme that Lamb is the dish that brings everyone together, with the creative content for online, social and TV showing the Gods, Goddesses and Prophets of different faiths and beliefs coming together over Lamb at a modern day spring barbecue”, an MLA release about the video ad states. MLA, with about 50,000 livestock producer members and headquartered in North Sydney, “delivers research, development and marketing services to Australia's cattle, sheep and goat producers”.